Patrick Lambert didn’t know what to expect when he landed at the Ardmore Executive Airport and taxied up to KMA Aviation. What he discovered was an oasis, made by pilots for pilots. Two years ago, Lambert flew his Cessna 150 cross-country during the dog days of summer. 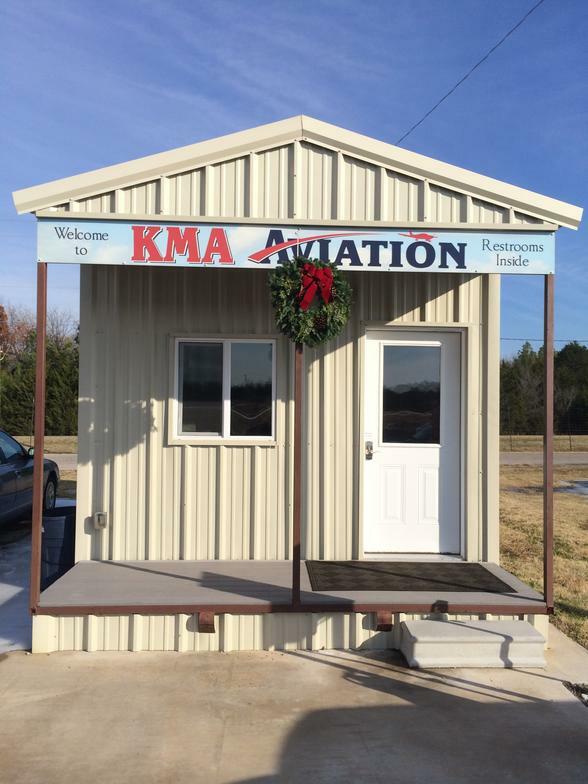 The taxing trip required several stops at unfamiliar fixed base operators (FBO), including a 10 p.m. landing in Ardmore, Okla.
KMA was founded by Rusty Noble, Darrell Mink and Mark Ellis, who have a combined 56 years of flying experience. This trio of Ardmore aviators joined forces to open KMA (which stands for “Keeping More Aviators” flying) in 2010 when local fuel prices became uncompetitive. At the time, area pilots could fly 30 minutes south and save as much as $1.80 a gallon. KMA Aviation opened in September 2010 as a self-serve aviation fuel farm. The new KMA fuel prices were indeed regionally competitive, which pushed other local suppliers to match the price. The move resulted in manageable fuel prices across the board and increased traffic to the region from both local and national aviators. After just three short years, KMA is now serving 120 pilots annually. The amenities and the good old-fashioned service have earned KMA an avid fan club. So what makes KMA so loved? Beyond the competitive fuel prices, KMA offers one of the cleanest and newest FBOs in the region, including a private bathroom with shower, a living area, air conditioning/heating and cable TV. Pilots can also purchase oil, oil filters and cold drinks, all by just leaving a little money in a coffee can on the counter. "More than supplies and a nice place to kick back and relax, the KMA crew is there to lend a helping hand to their clients. They offer a courtesy car for pilots who need to head into Ardmore, and multiple times, they have helped aviators overcome mechanical difficulties and even arranged to move planes into hangars during adverse weather conditions. Whatever the problem, all three men agree – they will find a solution."